Most Texas courts require a copy of your Driver Record to dismiss your ticket. Download your Official Type 3A Driver Record now to avoid a fine. 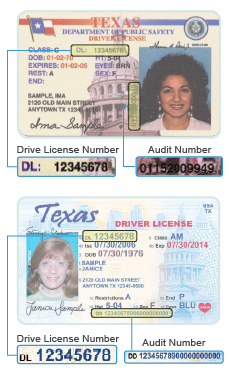 You can find your Audit Number on your Driver License. you&apos;ve had your license. See the sample images below for reference. Copyright Â© 2013 All Rights Reserved.